Need alcohol-free drinks for your party? Go beyond sparking cider and serve your guests top-notch mocktails. 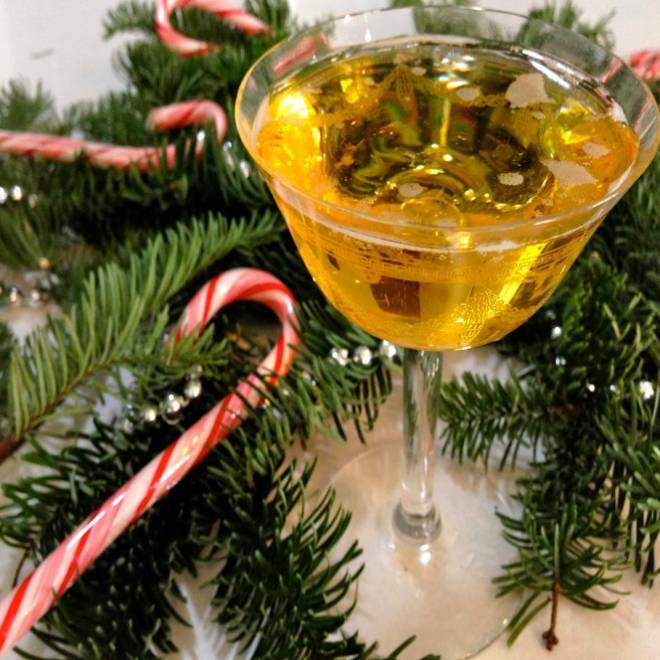 Holiday parties have practically become synonymous with imbibing profuse amounts of booze. But for those abstaining from alcohol – either for personal, religious or safety reasons – the most wonderful time of the year can seem, well, not-so-wonderful. Often times these guests are left to sip on childlike drinks like sparkling cider, or worse yet, plain old H2O. Hydrating is healthy and all, but what's festive about a glass of water on the rocks? Some of the country's best bartenders agree that as a host of a party, it's important to offer a non-alcoholic drink that's made with some care. These non-boozy tipples shouldn't just be “virgin” versions of your signature cocktail either. They ought to be as thoughtful and interesting as your guests (hopefully) are. Marcos Tello, who consults at some of Los Angeles’ top bars like 1886 and the Varnish, firmly believes that hosts should spend some time to create a unique drink for those abstaining from the sauce. “I try to take extra special care of guests who aren't drinking, as they might already feel uncomfortable because they're in a place surrounded by alcohol and are choosing to go against the proverbial flow,” said Tello. Leo Robitscheck, bar manager over at the NoMad in New York, feels similarly. He takes pride in his menu, which showcases four specially crafted “soft cocktails.” The flavor profiles are varied and exciting, and there's something for everyone on the list, with options ranging from the spicy La Pina (pineapple juice, jalapeno infused agave, lime) to the playful take on the Orange Julius (orange juice, cream, orange blossom water and soda). Robitscheck believes that creating a balanced non-boozy drink is a rewarding challenge as a bartender. The philosophy behind building these mocktails is similar to that of making a good pasta, Tello explained. The pasta will provide the proper stage to showcase the sauce, but the sauce should be able to stand alone. That’s why it's so important to use quality ingredients and to keep seasonality in mind. “I love taking advantage of the amazing citrus fruit in the winter,” said Robitscheck. Without the slight sting of alcohol, every element of these booze-free drinks really sings. Here are a few recipes for soft cocktails so good that they'll turn the biggest of lushes into a teetotaler. Muddle the ingredients at the bottom of a collins or hi-ball glass. Add ice, and top up with soda water. Give it a swirl with a straw, then garnish with a lime wedge. Enjoy. Combine all the ingredients and shake. Strain into a cocktail glass and top with 1 oz of non-alcoholic sparkling apple cider. (They use Duche de Longueville from Normandy at the NoMad). Finish the cocktail with an orange twist. Combine all ingredients, shake, and strain into a highball glass. Top with 1 oz of club soda. Krista Simmons is a Los Angeles-based multimedia journalist. Follow her on Twitter.